Studentlifeguru's Blog | Leadership resources for Student Affairs administrators. In January 2018, I served as a faculty member for the ACUHO-I Senior Housing Officer (SHO) Institute in Pittsburgh, PA. I presented on student housing public private partnerships (P3) with a colleague from Brailsford & Dunlavey. I shared that I myself worked for over 10 years for a student housing industry firm at two public university P3 communities in order to gain much needed experience in budgeting, staff supervision, and capital project management. I was approached by a handful of the institute attendees who stated that they were being recruited to work for various privatized housing firms and wanted my perspective and some advice. The following information should prove insightful if you are debating a potential opportunity to work for a privatized, student housing firm. PRIVATE MANAGEMENT COMPANIES – There are multiple student housing industry firms in the United States that develop, construct, own and / or manage college housing. Some of these firms are privately-owned while others are a public corporation whose shares are publicly-traded on the stock market. Some firms may own and manage private housing in your local off-campus community while others may directly own and / or operate student housing in a P3 relationship on (or near) a college campus. Like any organization, these firms have different histories, goals, priorities, leadership styles, and company cultures. *Note: Do not confuse privately-owned student housing communities near your campus with P3’s. There needs to be a direct public-private financial arrangement between the university and the private firm in order for it to be considered a P3. REIT (i.e., real estate investment trust) firms may own a property off-campus that is completely independent of your university. ORGANIZATIONAL & STAFFING STRUCTURE – Each housing community (i.e., “property”) has its own staff, which typically includes a community manager, leasing and marketing staff, student account / financial staff, maintenance staff, and student staff. 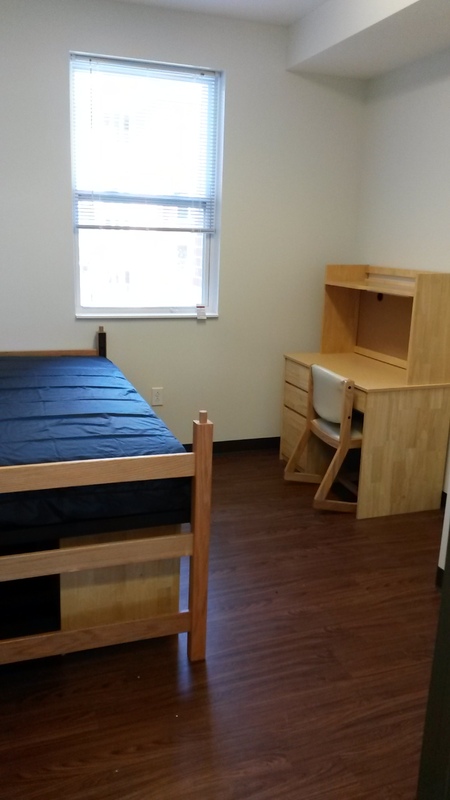 Student housing properties can be small or relatively large depending upon the college or university it serves. I managed two different, campus-affiliated apartment communities of 407 and 770 beds respectively, but I worked with colleagues who managed properties of 1,000+ beds. It should go without saying that the larger properties have a larger staff infrastructure. The community manager (CM) is in charge of the property and supervises all of the staff. In some cases, the CM and / or maintenance manager (MM) may live on the property. In turn, a regional manager (RM) supervises a portfolio of properties and is the supervisor for those respective CM’s at those properties. The RM is typically a corporate office-based employee who is charged with staying in regular contact with their properties and visit at least once every quarter to make sure that everything is copacetic operationally. They will also interact with campus stakeholders if there is a P3 arrangement. P3 properties that are operated by a private management company are financially self-supported in that the operational and capital costs come exclusively from the property’s bed revenue and reserves. The management company has a corporate office and supports all of its properties through various departments, such as accounting, human resources, marketing, and purchasing. It is important to understand that a property CM is NOT the equivalent of a resident hall director or area coordinator. A CM is in charge of all aspects of property operations, including, but not limited to, leasing, rent collections, budget creation, vendor and utility payments, monthly income statement reviews, capital project management, and crisis response. Essentially, they would be the equivalent of a senior housing officer at a very small college. Some properties, however, do have a subordinate resident director that helps with student programming and CA / RA supervision. REAL ESTATE VS. RESIDENCE LIFE – There is a very distinct difference between working for a student housing management firm and for a college or university residence life department. For a housing firm, the “bottom line” is paramount, particularly if it is publicly-traded with investors involved. At the end of the day, it is a business. In that regard, student learning outcomes, residential curricula, and student affairs are generally not a part of the day-to-day discussion. Operations mostly mirror what multifamily housing real estate management would look like in the rental apartment and townhouse market within the general community. The vast majority of my community manager colleagues nationally did not have a background in higher education or student affairs and could not tell you what ACPA, ACUHO-I, and NASPA are nor the importance and applicability of student development research into their work. In some cases, there can be community managers who do not have a college education. This is not a criticism, this is simply an industry reality. Additionally, there is a semblance of programming, but overall it is not tied to student learning outcomes or assessment efforts. Programming is essentially a marketing tactic in order to entice students to renew their leases at the property for the following year. COMPENSATION – It is crucial to understand and consider the different compensation structure that comes with working for a privatized student housing firm. Community managers will receive a base salary and typically the potential for a bonus. Bonus Structure: Bonus programs can vary from firm to firm and can also differ if there is a P3 arrangement with a college or university. Community managers are normally paid quarterly incentives based upon predetermined objectives tied to revenue, expenses, and leasing efforts. While this may seem alien to a residence life professional, financially incentivizing performance is a standard practice in the real estate world. To give a theoretical example, there could be a $500 bonus for reaching a set goal of at least 98% of the budgeted revenue for a particular quarter. If the property revenue earnings are a total of $1,300,200 for a quarter and the budgeted amount for that time is $1,320,000 (i.e., 98.5%), you would earn the $500 because you would be above the 98% goal. If you were able to maintain that goal for every quarter, you would earn $2,000 (i.e, $500 x 4 quarters). There can be a combination of different bonus amounts for different goals so there is the possibility to earn a considerable aggregated bonus. However, bonuses are never guaranteed and can even be challenging to earn depending upon the financial health of the property and the team’s ability to keep beds filled and costs under control. Benefits: Unlike working for a college or university directly, the benefits are going to differ in many regards. Educational benefits are generally NOT included for the employee and / or their spouse and dependent children. Also, any 401(k) retirement plans are also not going to be as generous either. For example, when I worked for a privatized housing firm, their match was 1.5% for the 3% that I contributed toward my retirement fund. Colleges and universities commonly match at a much higher rate, including above a 9% contribution where I currently work. In some cases, a firm may offer discounted company stock options that can be paid for by deductions from your paycheck. This can be a nice option, but there can be various restrictions set by the company related to how much you can purchase and the terms upon which you can sell that stock. Additionally, health care coverage is generally going to be more pricey than what is typically offered through colleges and universities. Below is a compensation chart that illustrates the base salary, bonus, and total compensation for property community managers based upon the bed count of the property. Different firms are going to offer different compensation packages and they will vary dependent upon the size of the property. Obviously there are going to be differences based upon the cost of living of the area in which the job is located. This data came from the July / August 2017 Student Housing Business magazine (pp. 40 – 41). PROFESSIONAL DEVELOPMENT – Professional development looks different than what you may have become accustomed to on campus, particularly with going to ACPA, ACUHO-I, NASPA or other Student Affairs-related conferences. Most of the training will be based on operations, including marketing, leasing, customer service, and facilities management. This can occur through webinars, online training modules, and even during company retreats held at locations near the corporate office. The training that I received working for a private student housing firm has been invaluable in my current role as a senior housing officer. Look at the turnover history of the property staff and ask why the manager position is currently open? It is naive to think that you will be able to save the day for a property that has a history of challenges. Be careful that you are not walking into a nightmare situation you will regret. Granted, people leave for a variety of reasons, including being promoted. However, there is a significant amount of volatility among manager positions nationally so assess the culture of the company, the qualities and experience of the person that you would be reporting to, and be prepared to ask thoughtful and probing questions. If it is too good to be true, it probably is. Be particularly careful when talking with “headhunters.” These are contracted recruiters who earn money by finding viable candidates for companies. I have been contacted numerous times by headhunters who were attempting to sell a position that I was simply not interested in. I also had one recruiter that was particularly pushy trying to get me to interview for a manager position at a property that was struggling in a saturated market. Don’t take the bait and inherit a problem that has little chance of being resolved. As should be the case with any job offer, get it in clear writing, including any bonus programs offered. Never accept anything unless you have it in writing. A hiring manager (and / or their human resources department) should be transparent with the salary, benefits, and how bonuses are earned. Don’t get caught into “We’ll see how it goes!” or “There are bigger opportunities coming down the road!” red herring-type conversations that are empty promises. Know exactly what you are agreeing to. In the end, it should be a “win-win” relationship. Once you are out, it can be hard to get back in. While P3’s and privatized housing firms are here to stay and an important part of the higher education landscape, there is still much suspicion and disdain among Student Affairs professionals regarding these companies. I certainly felt this among certain campus colleagues and oftentimes at many professional conferences across the country. I clearly remember one time interviewing for a senior housing officer position at a flagship institution and the hiring manager made the comment, “I have no clue why an institution would ever outsource their housing? !” Because of these types of negative opinions and stereotypes that exist about privatized housing firms, you can be easily dismissed over other candidates applying and interviewing for campus positions that have a traditional residence life path. CONCLUSION – There are many considerations to make when deciding to work for any organization, including colleges and universities as well as privatized housing firms. You need to do your homework and find out as much as you can about the position. Talk to your colleagues and mentors about the opportunity as well as any current or former colleagues from that particular housing firm that you may know. What questions do you have that I may help you with? Additionally, what advice do you have if you have transitioned from campus to the privatized housing world or vice versa. Leave your comments and questions below. I have developed an activity for resident assistants that can be used during annual training or as a session for staff development throughout the academic year. A university requested that I give a presentation on “What role does on campus housing have in the overall collegiate experience and student success?” Rather than doing the typical PowerPoint presentation and frequently cite research from Pascarella and Terenzini’s How College Affects Students, I thought I’d create a more active and creative experience. Click here to get a free PDF activity sheet that you can print and use with your own staff. Not only do the student participants get to understand important outcomes associated with living on campus, but they get to reflect on their own personal residence life experience, and actually get to walk away with a personally-significant souvenir. Participants are given a pack of beads and a plastic bracelet strand with a knot tied in the end. You can obtain bags of these beads at a craft store, such as Michaels and Jo-Ann Fabric and Craft Stores. The activity leader reads each outcome and the participants put that bead on their bracelet strand if it pertains to them. If not, they simply leave the bead in their pack. Everyone’s experience is different, so it’s perfectly fine if they have different looking strands of beads! Which of these outcomes stood out the most for you personally? How have you felt you contributed to one of these outcomes for a resident you oversee? What can the residence life program do to foster more of these outcomes for residents? How has this activity motivated you to any new action or attitude? 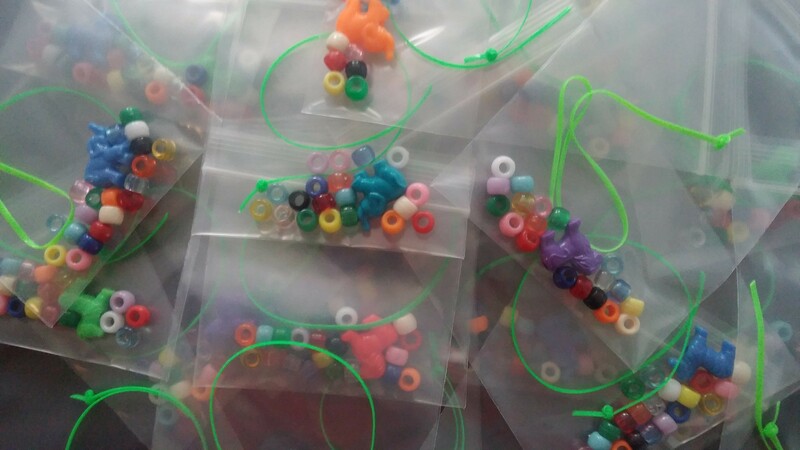 Additionally, the participants can continue to customize their bead strands into a bracelet or keychain with supplies you provide. This can include lettered beads into which they can incorporate their names. This is a great way for your staff to learn about the important role of living on campus while also giving them time to bond, share their own experiences with each other, and be creative. Click HERE to receive a free PDF copy of the activity sheet that you can use and share. Please comment below if you use this activity and let us know how it went! One challenge of being a supervisor is having to discuss performance shortcomings with employees. In some cases, you may need to coach someone out of the job. This month I wrote about the topic as a guest blogger on The Student Affairs Collective blog. To see the post in full, please click on Difficult Discussions: Coaching and Employee Out of the Job. Special thanks to Tom Krieglstein and his team for the opportunity to discuss this issue! Dr. Kathy Obear recently published Turn the Tide: Rise Above Toxic, Difficult Situations in the Workplace , which is a resource that you can use yourself or with your staff and / or students. The book is available as a $2.99 Kindle download on Amazon. While Dr. Obear explicitly states in the text that she herself is not a therapist, the book is essentially an illustration of rational emotive behavior therapy (REBT). “REBT’s basic hypothesis is that our emotions stem mainly from our beliefs, which influence the evaluations and interpretations we make of the reactions we have to life situations” (Corey, 2013, p. 268). Through the REBT process, individuals can replace ineffective ways of thinking and thereby change their emotional reactions to various situations they encounter in their life. Likewise, Dr. Obear walks the reader through a similar process in which individuals, particularly those who are having challenging times in the workplace, can shift their thoughts and reactions to more positive and proactive outcomes. The book is organized into ten chapters: 1.) I can’t control how I react! Maybe I can; 2.) Step 1 – What pushed my buttons; 3.) Step 2 – Intrapersonal Roots; 4.) Step 3 – Making meaning: Change your story, change your reactions; 5.) Step 4 – Common physiological, emotional, and mental reactions; 6.) Step 5 – “Choosing” your intentions; 7.) Step 6 – Tools to Respond Effectively; 8.) Step 7 – The impact of our triggered reactions; 9.) Maximize our effectiveness: Focus on Self-Care and Healing Practices; and 10.) We Always Have a Choice. The book has many self-directed exercises in them, which helps the reader to explore and work through the various feelings and thoughts they may be having as a result of being in a challenging work environment. While the content of the book centers on one’s own personal reactions to the day-to-day dynamics of working with others, it does not cover the more nefarious and even illegal issues that can and do occur in the workplace, such as bullying, discrimination, harassment, and how to manage those particular situations. I highly recommend Turn the Tide: Rise Above Toxic, Difficult Situations in the Workplace for graduate students, new professionals, and those supervisors who are responsible for developing staff training and professional development opportunities. Corey, G. (2013). Theory and Practice of Counseling and Psychotherapy. Stamford, CT: Brooks / Cole. In our previous post, “Relocation 101: Three Things to Consider When Job Searching Nationally,” Adrienne Boertjen covered some of the essentials to think about when expanding your job search outside of your current region. This was written particularly with graduate students and new professionals in mind. For this current post, I will cover financial considerations and logistics for those more seasoned professionals, especially those looking to relocate with partners, children, and / or other family members. 1. COST OF LIVING: I use Sperling’s Best Places Cost of Living Comparison to enter in my current salary and town in which I live in order to get an estimated comparable salary and find the related costs associated with living in the city in which I am interested in working. If you are looking at a potential promotion to a mid-level or senior level position in the field, not only should you expect an increase to what you are currently earning, but the pay should align with the cost of living in that particular area. Don’t dupe yourself into a situation in which you are asked for your current salary numbers and the offering institution offers a modest increase to that number. You need to be able to make a living and thrive in the the new community so don’t sell yourself short. There are wide fluctuations in the price of housing in various markets all over the United States so be prepared. 2. SALARIES: Do your homework on what the average salary is for the position you are being offered and factor in the cost of living difference. HigherEdJobs.com has a nice listing of various salary surveys that you can view. If you are looking at a state school, salaries may be publicly posted online so you can get an idea of what current administrators are making there along with other public officials. Some regional newspapers and “watchdog” groups also publish public salaries, which you can search for online (e.g., PennWatch is one example for the Commonwealth of Pennsylvania). In the case of institutions that have collective bargaining units (i.e., unions), you may be able to find a copy of the associated contract for the type of position you are applying. In the contract, they typically list out the schedule of salaries for various levels of position and seniority. An example for one of the Pennsylvania State System of Higher Education bargaining units can be seen HERE. Also, many job descriptions, particularly on the institution’s human resources webpage, will include a position salary level signified by a payroll code. If you dig deeper through their HR site, you may be able to find a chart or listing of those payroll codes and the corresponding salary ranges. Keep in mind that not all have this however. One time with my own job search, I found the organizational chart of the public institution for where I was interviewing. With the names of the search committee members in hand along with the key administrators in the division, I was able to search their salaries online very easily. Seeing that the supervisor of the position I was interviewing for was earning roughly what I would negotiate for, I knew that it would be highly unlikely that I would be offered nearly what I thought would be fair with my credentials and experience. Given the highly expensive cost of living with the location of the institution, I knew it wouldn’t be financially viable for me if offered the position so I didn’t get my heart set on it. 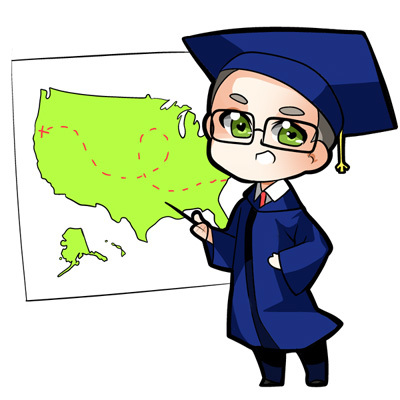 You have to be able to weigh all of the intrinsic and extrinsic benefits associated with working at a particular institution in a specific part of the country. Obviously, salary isn’t everything, but you need to be able to pay your bills. If it doesn’t make sense, walk away from it. 3. LIVING IN VS. LIVING OUT: There are many special considerations when you are a Residence Life staff member in regards to living in vs. living out. This can also include non-ResLife administrators in other roles that require you to live in or simply give you the option to do so. As any ResLifer will tell you, there are both many benefits and drawbacks to living on campus. Housing Expenses: If you are currently living in and looking to change to a “live out” position, you need to look at your current financial situation and how that will change by what is being offered with a new position. Earning $35,000 as a live-in hall director in the rural Midwest will most definitely be worth “more” financially than a $50,000 live-out assistant director position in New York City. Living out means that you will need to rent or mortgage housing along with all associated costs, including, but not limited to, utilities and transportation. So don’t jump at something simply because it’s a position promotion. You do not want to move and then be unable to afford your living situation and then have to job search all over again or acquire debt that you do not necessarily need. On-Campus Culture: If you are currently living out and now considering a position that is live-in, you need to understand that there is a distinct culture with living among and near college students. I myself and my family had positive experiences with living in. The conveniences with living in a university community are numerous. With easy access to educational, cultural, and recreational opportunities, it’s pretty awesome! Also, not having to pay rent or utilities is definitely the biggest plus (if, of course, that is a part of your compensation package). Additionally, I didn’t have to worry about lawn care, and all of the other expenses and hassles that come with having your own home. I was a previous home owner prior to moving back in so I know. However, living in is not for everyone, nor for others’ partners or their children. There isn’t the level of privacy and anonymity that you would get with living out so that’s something you need to keep in mind. For me the benefits outweigh the drawbacks, but this is something you will need to consider if faced with this option. Apartments.com & Realtor.com: I use these apps on my phone to quickly look up the general price of housing for the needs of my family related to institutions I may be interested in applying to. I can quickly rule out some potential opportunities simply by seeing how much it costs to live in a particular area. This can save a lot of time and heartache for both myself and my family because the job searching process can be both time-consuming and anxiety provoking. Why look at something that simply is not going to be realistically affordable? 4. RELOCATION EXPENSES & TEMPORARY HOUSING: Some institutions will reimburse you for relocation costs while others will not. Typically you won’t see this for entry-level positions, but it never hurts to ask. Picking up yourself and potentially your entire family is very stressful and can be an expense you normally don’t consider when job searching. If possible, see if the hiring institution can provide temporary housing for you on campus while you work out the logistics of getting settled into your permanent housing situation. This can be an easy sell because it will help you to better focus on the job during the work week while you can spend the weekend searching for various options. I myself asked for that when moving across Pennsylvania to a new institution. I had to sell my house while my wife and kids lived temporarily with my in-law’s. The university graciously permitted me to live in a residence hall room at no charge for the summer until I could get things squared away for permanent housing. 5. SCOUTING THE AREA: It is imperative that you take time to scout the area of the institution in which you are looking to relocate. 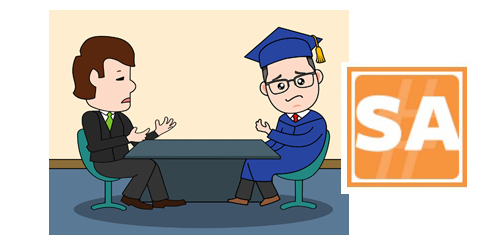 This can be done before, during, and after the on-campus interview process. My recommendation is to always steer clear of an institution that offers the job without actually bringing you to campus. Even if you are familiar with or visited the campus previously, or even attended there as a student, being offered a job only after having a phone or Skype-type interview is clearly a red flag! Not only won’t you get to meet your peers, staff, and students in person, but you will not get a chance to explore the campus and local community. Rental Vehicle: Typically I will rent a car after flying in when I am offered an on-campus interview. This allows me to cruise around the area and explore the community in which the university is located. You can come a day early or stay a day later if you need extra time to accomplish this. Sometimes the college or university will accommodate your request for the extra day. When exploring, I am particularly interested in looking at housing, shopping options, entertainment and recreation venues, and the general locations of schools for my kids. I want to know what the basics of day-to-day life would be like living in that community: Where would we go grocery shopping? Are there things for my kids to do? Would I have to pay a bunch of tolls to get around? What is traffic like? What would my commute be like? Do I think my wife would like it here? How much of a hassle would it be for family to visit if traveling from the airport? What are some other strategies and tips that you have used when job searching nationally? Please share your comments below or simply retweet this post and add your thoughts to the tweet.